Paramedics do amazing things every day; I know because I used to be one. They are often the first responders on the scene of a collision, fire, workplace accident or even a natural disaster. In addition to attending to the urgent medical needs of those on the scene, they are also charged with identifying their patients for notification purposes. The combination of figuring out how to treat a complete stranger properly, and how to contact their loved ones can present a host of complicated challenges. Back in 2004, I had been using the casualties’ own mobile phones to try and ascertain who to inform. I wanted them to avoid a situation that I had personally found myself in years before – being a person who wakes up in the hospital, in pain, feeling frightened and alone. While reflecting on a serious traffic collision I had attended the previous day, I had my ‘light bulb moment;’ we needed a uniform method that both the public and first responders would adopt that would provide them with a way of accessing emergency contact information quickly – so the concept of ICE, In Case of Emergency, was born. My aim was for everyone to enter their ‘agreed upon’ emergency contact(s) information into their mobile phone by using the ICE preface thereby informing first responders of who to contact. A few months later, in 2005, ICE went viral and I was absolutely ecstatic – both the public and the first responder communities had made giant strides in embracing the concept and fewer people were being relegated to the P/U (Patient Unknown) status. The concept that both sides, the public and the first responders, had a role to play in improving the outcomes of emergency situations took flight. As time passed, and mobile technology evolved, so did the use and implementation of ICE on mobile devices. The public’s reliance on their smartphones for everything from managing their finances to keeping their appointment calendars also led to the development of an array of ICE apps. I am regularly approached with requests to review and assist with the development of ICE technology and recently Wanda Refaely, the founder of ICE4Autism, reached out to me. In her initial email she explained that her ICE app – the ONLY autism-specific In Case of Emergency mobile app – was specially designed to meet the unique needs of individuals with an autism spectrum disorder. She worked closely with autistic individuals and had incorporated what they deemed “essential” into the development process. I was intrigued. It only took me a few minutes to conclude that ICE4Autism was a critical piece of the ICE jigsaw. The app contains enough, without being overwhelming, and is accessible to both user and emergency responder, be that pre-hospital or within facility. It is affordable ($1.99), intuitive, respectful – and most of all – of value. This app is a game-changer for anyone who has the potential to experience difficulties communicating their needs in the emergency scenario. 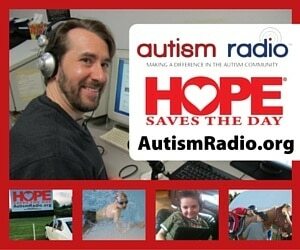 What makes ICE4Autism an “autism-specific” In Case of Emergency app? 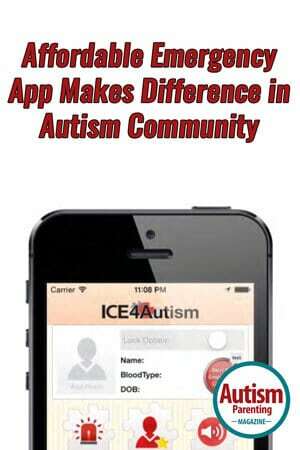 ICE4Autism incorporates all of the basics of any good ICE mobile app including: the individual’s name, blood type, date of birth, a current photo and emergency contact information. In addition to that, Refaely placed the unique nature of autism – the fact that it is different for each person – at the core of her app. ICE4Autism enables the user (or caregiver) to input their own, specific information and to provide unique details about their needs. Though Refaely does provide sample text and ideas for what the user may wish to include, the app makes no assumptions or assertions. Another important part in the app’s development process involved defining the most significant issues impacting a person with autism in an emergency situation. Communication differences were at the top of the list; the fear, unpredictability and chaos associated with an emergency situation can exacerbate existing communication challenges experienced by many individuals on the spectrum. ICE4Autism has an autism-specific widget, aptly labeled ‘My Autism,’ in which users enter details about how they communicate, and equally important, how they want and need to be communicated with. Having this information accessible with a simple tap on the widget can completely change – for the better – how a paramedic might interact with a frightened patient who is unable to communicate their needs directly. The ‘My Autism’ widget also provides a platform for the user to inform emergency personnel about any unique behaviors he or she exhibits. This is of paramount importance to ensure that any self-stimulating or regulating behaviors are not misinterpreted as drug abuse or mental illness, for example, and, as a result, treated inappropriately. 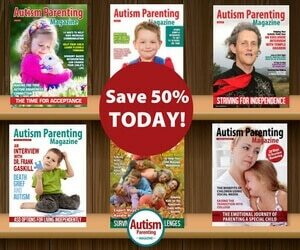 Information about sensory triggers and stressors, and how best to respond to them, is also part of ‘My Autism’. The simple act of informing first responders that the bright flashing lights on the emergency vehicles, for example, cause an extreme sensory response can dramatically, and positively, impact the care the person receives. 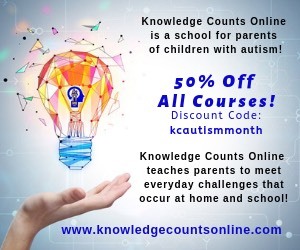 Another critical issue effecting individuals with an ASD in an emergency that Refaely addresses with ICE4Autism, is the ability to inform first responders of any comorbid diagnoses, medications and allergies. Imagine a scenario where an individual is in an accident and paramedics are unaware that he is allergic to latex. 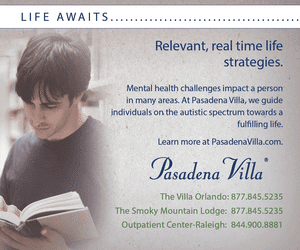 ICE4Autism has widgets for the user, to not only enter information about each of these topics, but to provide specific details about his/her reactions, dosages and responses. Again, the paramedic’s ability – and that of onwards care to access this information quickly and easily with ICE4Autism reduces the possibility of an adverse drug interaction or allergic reaction. Bob Brotchie is the Founder of the ICE – In Case of Emergency – concept that received worldwide recognition in 2005. He is a former Senior Paramedic and has been delivering within Primary Health-Care for more than two decades. Following an award winning career – including three years as a HEMS medic, and many years as a manager and project lead – Bob retrained, and is now delivering counselling and psychotherapy services for adults and children with cognitive and behavioral needs from his private practice, Anglia Couselling, near Newmarket, Suffolk. So now that everyone has screen locks on our cell phones, how practice is it going to be for me as a firefighter to get this info off of their phone?